"The future ain't what it used to be." I have always enjoyed this Yogi Berra quote. The quote comes to mind when I read the new Blue Ridge Road District Study Draft. The document is a May 2012 draft for concepts of the future major changes along the Blue Ridge Corridor, which is just peripheral to the location of the JC Raulston Arboretum on Beryl Road. The area, loosely bounded by Lake Boone Trail, Interstate 440, Western Boulevard, and Edwards Mill Road, is considered the western gateway to Raleigh, sitting on Cary's doorstep. Many local developers have predicted that the area will become a bustling entertainment district brimming with restaurants, hotels, shops, and new office buildings with the PNC Arena, Carter-Finley Stadium, and the North Carolina State Fairgrounds, driving the transition from pine trees, pastures, and state department depots and storage facilities that currently occupy much of the landscape. Obviously, some transition has occurred, but another Yogi quote might also be appropriate, "You can observe a lot by watching." Those working on the new 2012 draft have sought comments and ideas from all the stakeholders along and peripheral to the corridor. About a year ago, Anne Porter and I were invited as representatives of the JCRA to lunch for an update on the activity and progress on the writing of the draft. The planning group was aware of the JCRA, but we weren't really a part of any of the development considerations. Since that time, our Master Plan committee has attended public hearings and corresponded with some of the planning group. I am happy to see that the JCRA is now mentioned in the document several times as an asset and a neighborhood amenity. The location of the JCRA is considered peripheral and included in the planning area south of Hillsborough Street. However, the major infrastructure changes along the Blue Ridge Corridor will have major impacts on the JCRA. Foremost will be the proposed redesign of the Blue Ridge Road-Hillsborough Street and railroad tracks intersection. Blue Ridge Road is proposed to be "depressed" under Hillsborough Street and the railroad tracks as an NCDOT underpass project. Ultimately, Beryl Road could become a dead end at Blue Ridge and access to the JCRA from the west would only be by continuing south on Blue Ridge and then making a left turn on Pylon Drive, following Pylon around to Beryl, then turning right onto Beryl to get to the JCRA parking lot. That's going to take some good signage for those changes to not affect our visitation. Without good signage, another Yogi quote would be applicable, "If you come to a fork in the road, take it!" But good luck finding the JCRA. Many other infrastructure changes could directly influence access and visitation for the JCRA as well. Infrastructure changes discussed in the draft include pedestrian sidewalks, bike lanes, and greenway trails, one of which could go through the JCRA. Another big impact could be light rail track and where the planners locate park-and-ride facilities. If those were located in the vicinity of the JCRA, it could definitely affect our visitation and prominence as a destination to visit in Raleigh. Much of the change could have very positive benefits for the JCRA. We need our Master Plan committee, Friends of the Arboretum members, and volunteers to be advocates for the JCRA during this process. The JCRA needs to remain an important entity for planning in our area. Another one of Yogi's quotes is, "Baseball is ninety percent mental and the other half is physical!" Well, I think it is about the same for gardening! Anyway, the JC Raulston Arboretum staff are mentally and physically thoroughly happy to announce that we have a new staff member to introduce to our Friends of the Arboretum family. Elizabeth (Lizzi) Lathers joined our staff as a research technician in July. 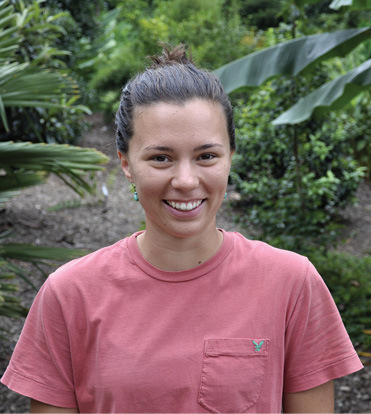 Lizzi will work in the JCRA gardens, but will also have many of the primary responsibilities for greenhouse and nursery care of Arboretum plants and propagation of plants for our JCRA collections, the Connoisseur Plants program, plant distributions, and special plant promotions. Lizzi is a Wisconsin native and a University of Wisconsin-Madison 2011 horticulture graduate. Lizzi comes to the JCRA from Longwood Gardens where she had been a Longwood Gardens intern since August 2011. Lizzi has also held internships at Denver Botanic Gardens, Olbrich Botanical Gardens, and she worked in the D. C. Smith Horticulture Greenhouse at the University of Wisconsin-Madison during her senior year in college. She also worked as a farm assistant at Winkler Organic Farm in Jackson, Wisconsin. When visiting the JCRA, please introduce yourself to Lizzi and take a moment to have a conversation with her. Yogi also passed along the following bit of knowledge, "A nickel ain't worth a dime anymore!" But we have a real value for JCRA family members. The JCRA Children's Program activities have been viewed with great interest all spring and summer. On the week prior to Easter, a Spring Egg Scavenger Hunt led children and parents around the gardens. Approximately 347 families participated in the event with roughly 470 children looking for the scrambled letters that would make a word and result in a prize. Parents left their e-mail addresses to receive notices of upcoming programs to bring families back to the Arboretum. Guided children's tours were offered during the Birdhouse Competition on April 14 and 15 when children and parents were guided through the gardens with three stops: a table to examine birds' nests up close with magnifying glasses, a table with coloring pages of popular backyard birds, and an activity table demonstrating different bird beaks. The Garden Storytime children's program on National Public Garden Day, Friday, May 11, generated so much interest that another day was scheduled to accommodate some of the wait list. On May 20, 16 children between ages five and eight attended the Delicious Plant Parts program where they learned about plant anatomy and the importance of plants as food. June brought more children to the Arboretum for the Garden Storytime series and two sessions presented by the Butterfly Lady, Suzanne Tilton. Over 200 adults and children caught the sunset while eating Howling Cow ice cream at the Summer Solstice Ice Cream Social. Neither rain nor a power outage could dampen the spirits of those exploring the gardens on the scavenger hunt and playing lawn games. Family/Dual and higher level members picked up their LeafBuck$, a new membership benefit of five coupons to attend upcoming children's programs. Garden Storytime continued in July along with a program on vermicomposting presented by Rhonda Sherman, Extension solid waste specialist. Children learned about worms and built a worm composting bin to take home. If you have kids or grandkids and are in the area, check out our Children's Program at https://www.ncsu.edu/jcraulstonarboretum/childrens-program/. So to finish up here, "You better cut the pizza in four pieces because I'm not hungry enough to eat six." Thanks to Yogi Berra. The JC Raulston Arboretum (JCRA) prides itself on being a nationally acclaimed garden with one of the most diverse collections of cold-hardy, temperate zone plants in the southeastern United States. As a part of the Department of Horticultural Science at NC State University, the JCRA is primarily a working research and teaching garden that focuses on the evaluation, selection, and display of plant material gathered from around the world and planted in landscape settings. Plants especially adapted to Piedmont North Carolina conditions are identified in an effort to increase the diversity in southern landscapes. The JCRA's 10 acres and nursery contains over 9,500 accessions of nearly 6,000 different taxa. The JCRA's location in the Central Piedmont of North Carolina allows us to grow a wide diversity of plant material. Our temperatures generally range from about 10°F to 95°F, but temperatures much lower and higher are not unknown. The average annual precipitation measures 43" with most months receiving about 3"–4". The JCRA's strong magnolia collection made us a natural choice to be part of a newly formed North American Plant Collections Consortium multi-institute collection. According to the NAPCC literature, "The North American Plant Collections Consortium (NAPCC) is a network of botanical gardens and arboreta working to coordinate a continent-wide approach to plant germplasm preservation, and to promote high standards of plant collections management … collection holders make germplasm available for taxonomic studies, evaluation, breeding, and other research. Participating institutions compare holdings with others to identify duplications and gaps. This makes efficient use of available resources, strengthening collections through combined collaborative activities." While the JCRA already holds an NAPCC collection of Cercis, magnolias are simply too large a group for one institution. With that in mind, approximately 18 institutions came together to collectively hold the magnolia germplasm. The JCRA immediately became a significant partner as nearly 20% of the plants from our collection are not held by any other institution. Magnolias have been an important part of the collections of the JCRA from its inception. The first accessioned magnolia dates to 1977, shortly after J. C. Raulston arrived at NC State University. This Magnolia ×loebneri 'Merrill' still graces the Klein-Pringle White Garden, where it welcomes spring with a glorious floral display. 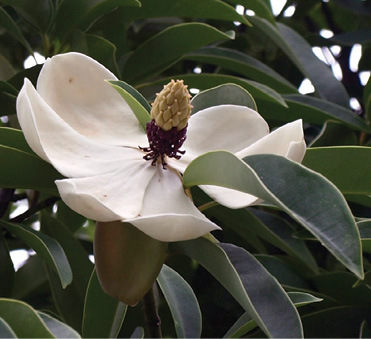 The JCRA's magnolia collection represents a broad diversity of both species and cultivars, comprised as it is of 133 different taxa, including 32 species. We currently hold accessions from nine of the 12 sections of the genus Magnolia, lacking only taxa in the mostly tropical Talauma, Kmeria, and Manglietiastrum sections. We have a particular focus on members of section Michelia with 19 taxa in this group alone. 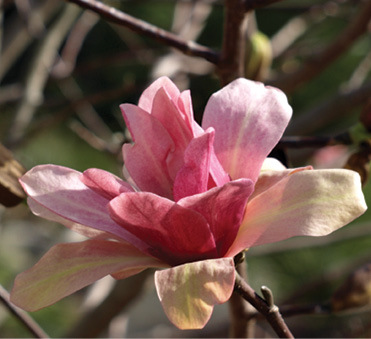 The complete list of magnolias planted on the grounds of the JCRA can be found on our Web site at https://www.ncsu.edu/jcraulstonarboretum/ under the Current Plantings heading in the Horticulture tab. Photographs of many of our magnolias can also be found on the Web site in the Photography section. The evergreen plants in section Michelia are especially nice since they provide structure and often flower during our relatively mild winters. Magnolia ernestii has made a handsome, narrowly upright, evergreen tree in the southwest corner of the Japanese Garden where it now towers over the wall. The glossy, green leaves are quite attractive and the flowers, although not terribly showy, are delightfully fragrant when they appear in late winter to early spring. Our plants (another grows in the Winter Garden) were acquired in 1995 and 1997 and have grown to nearly 20' in that time. Another choice plant in this section towering above the Lath House is M. cavalieri which begins flowering in December and continues to March. The large, loose, white flowers often take winter damage, but can be stunning against the clear blue winter sky. Another section member is M. compressa, which I collected in Taiwan in 2009. These seedlings come from plants growing at over 7,000' in central Taiwan and should prove to be hardy. In the wild, these trees had straight, smooth trunks and were identifiable mainly by the occasional fruit found among the leaf litter on the ground. We hope to be able to distribute this collection in the not-too-distant future if it proves to be garden worthy. M. lotungensis in section Gynopodium has been happily growing in our Lath House since 1998 and finally consented to flower a decade later. The creamy, cup-shaped flowers are quite lovely in April and May but can be difficult to see since they are generally above the roof of the structure. It forms a very distinctive, upright, narrow pyramid with new foliage often tinted red on first emerging in the spring. I am told it is used as a street tree in Yunnan where it is native, and I have seen it growing in gardens in Hangzhou. Nearby in Asian Valley from section Gwillimia is a very nice, pink-flowered form of M. delavayi. The large foliage has taken some winter damage, but the plant has still flowered well. We'll be watching this form closely to see if it proves to be reliably hardy with age. Another mostly evergreen section, Manglietia, is home to M. fordiana a lovely narrow-leafed tree with cupped, white flowers. Our plants are still relatively young, but I get to enjoy the related and similar M. yuyuanensis as a hedge in full flower each year outside my office. Both make beautiful specimens, but can be painfully slow to flower and difficult to propagate. Our hedge was planted with the intention of coppicing in the hopes that the young, vigorous shoots would root more readily, but to date we have balked at the seeming sacrilege when confronting them with the pruning saw. The JCRA, of course, also has significant collections of deciduous magnolias in section Yulania with a multitude of plants ranging from M. amoena to M. zenii. We love the delicate pink to white flowers of both species with a darker central zone and purplish anthers in the former, reddish in the latter. 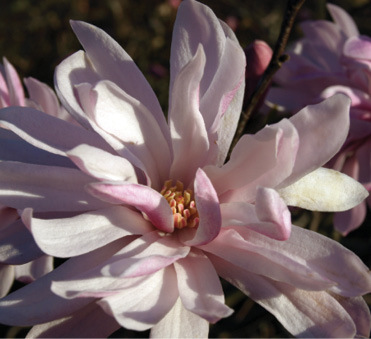 The large flowers on bare, early spring branches are highlights of the eastern end of the Arboretum where they are located along with the bulk of the magnolia collection. While we hold significant collections of species magnolias, the cultivars also are well represented at the JCRA. 'Coral Lake' is a particular favorite of visitors with its very late, large, double-pink flowers highlighted with streaks of yellow. It has been thriving at the head of our Scree Garden where its April flowers and upright habit form a colorful sentry. An older selection, but still one of my personal favorites, is M. stellata 'Chrysanthemiflora'. The clear pink color of the multitude of tepals (36–40) on a small-statured tree are unmistakable and in my mind unsurpassed by any other pink star magnolia. We also appreciate the diversity in our own native evergreen magnolias with 11 taxa of M. virginiana and 18 of M. grandiflora. 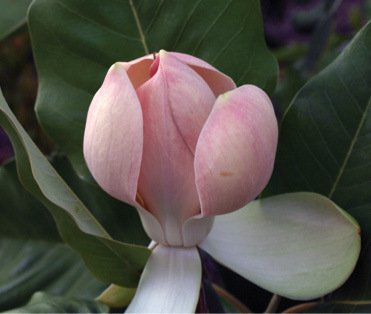 The small-leaved selections of the former such as 'Perdido' and 'Coosa' add an unusual texture to the magnolia collection and should be more widely grown, especially in smaller gardens. The JC Raulston Arboretum has always endeavored to increase the diversity of the American landscape through evaluation of plant material, display of novel and superior selections, and dissemination of knowledge and plants. 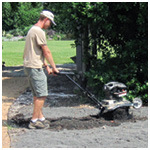 Over the last 15 years, the JCRA has distributed thousands of plants to nurserymen, other gardens, and Arboretum members. Among these allotments have been magnolia disseminations in larger numbers, including M. sieboldii, M. figo 'Port Wine', M. zenii, M. yuyuanensis, M. chapensis, M. laevifolia 'Michelle', M. denudata 'Forrest's Pink', M. insignis, and many others, hopefully creating more magnolia enthusiasts in the process. With other gardens in the NAPCC Magnolia group, we will be looking to fill in gaps where we are collectively missing species, we will strive to acquire known, wild-collected, endangered species for conservation, and we will evaluate selections for garden worthiness. As part of this, we are in the process of evaluating our collection, making systematic removals of plants which no longer fit into our collection priorities, and aggressively adding new forms. Our dynamic collection keeps the JCRA fresh and ensures that there is always something new to see on each visit. After all, life is too short for boring plants. As the 10th anniversary of the Ruby C. McSwain Education Center is just around the corner, we would like to remind everyone of the many opportunities associated with the use of the McSwain Center and the Arboretum gardens themselves. 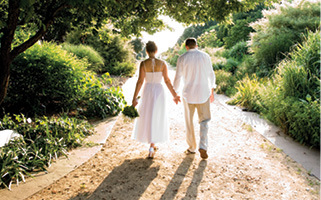 In 2011, we had 24 weddings in the gardens, many of which were followed by receptions in the York Auditorium. So far this year, we've had 19 weddings and/or receptions with 13 more planned for the fall. The York Auditorium is a very popular venue for flower shows and other similar activities, plus it provides a very nice, comfortable setting for many outside organizations who rent space for weekly or monthly meetings. These associations have spawned many other activities and opportunities for educational events. Our own workshops and programs are expanding with the growing awareness of what the Arboretum has to offer. Because of the convenience, beauty, and aesthetics of the Arboretum, the sections in the York Auditorium are rented on a recurring basis by many university departments and outside organizations for meetings, retreats, classes, and workshops. We appreciate the support of each and every one of these groups as facility rentals are one of our major sources of income. For your next family reunion, business meeting, or special dinner, please consider the JC Raulston Arboretum. Everyone will enjoy the inviting surroundings. For more information, contact Faye Koonce at (919) 513-7457 or faye_koonce@ncsu.edu. We welcome the opportunity to serve you. Have you ever dreamed of winning a multimillion dollar lottery? I sure have. In fact, when one of the lotteries recently reached more than $600,000,000, I even bought a ticket. I figured that $1 ticket gave me 24 hours of endless dreaming of all the happiness that I would bring to others and all the good that I would do with that mega million jackpot. (Let me just say … in my planning, I was very generous toward the JC Raulston Arboretum, because that is where I have the most passion and a desire to make a difference.) I did not check the numbers right away, because I wanted the dream to continue just a bit longer, but of course reality set in the next day after I discovered only one number correct on my ticket. Oh, well … maybe next time. However, this big dream experience did get me thinking about what my personal legacy will be and about the impact of what I do every day—working with donors and friends of the Arboretum who wish to leave a legacy gift that will make a difference for generations to come. 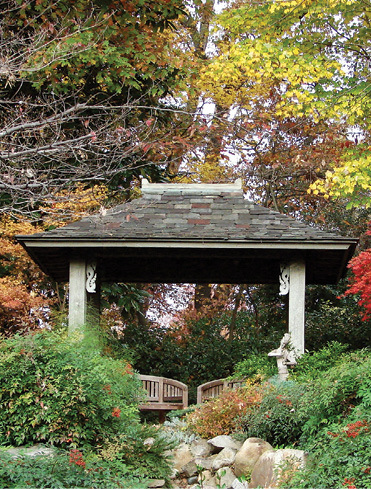 My legacy gift will be to create and/or support an endowment that benefits the JCRA, because I know that endowment gifts are vital to the long range financial future of the Arboretum. The JC Raulston Arboretum endowments are housed in the North Carolina Agricultural Foundation, Inc., and the University Endowment Fund. These endowments are permanent funds where the corpus, or principal, of the endowments are never spent. Spending is generally computed as 4% of the average market value of the previous 20 quarters of the fund as long as adequate reserves are available. Any revenue over the spendable income is added to the corpus, thus insuring financial security into perpetuity. The JCRA is fortunate to have seven donor-named endowments, plus the Endowment for Excellence, and three acknowledged endowments to be funded through planned estate gifts. The corpus for these established JCRA endowments total nearly $1.1million, and the estate gift endowments total approximately $350,000. These endowments represent a great savings account for the Arboretum, and we are well on our way to reaching the goal of $3 million by 2016—the JCRA's 40th anniversary! How will we get there? Through many gifts—large and small—from brick sales for the Brick Parking Circle to named garden areas—our friends and patrons of the JCRA will help us reach this goal. If you are thinking about your legacy and ready to make a wise investment, please call or e-mail me, Anne Porter, to discuss your interest in the JC Raulston Arboretum. It will be an honor to help you realize your lasting legacy. 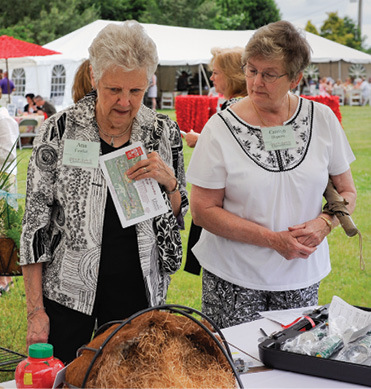 On May 6, more than 500 JC Raulston Arboretum friends enjoyed another fabulous annual garden party, which doubled as a birthday party as NC State celebrates 125 years. Imagine the guests' delight when it was announced by honorary Gala chair, Frank Grainger, the auction alone had reached more than $31,000. Gala event chair, Charlie Kidder, also thanked all the sponsors and guests who ultimately helped the Gala reach more than $80,000 in net proceeds. Now that's something to celebrate! 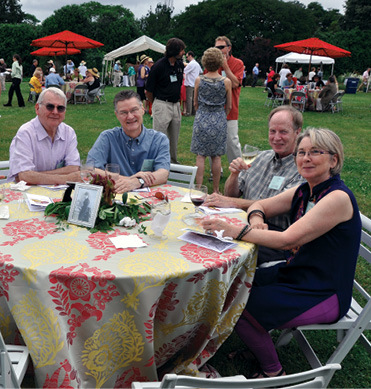 The Gala in the Garden is the Arboretum's main fund-raising event of the year. The net proceeds support garden development, maintenance, and plant collections, plus many staff salaries—all vital to the daily operations of the JCRA and ultimately the enjoyment of our many visitors. The JCRA owes so much to the Gala chairs and committee, the auction donors, the volunteers, and, of course, the sponsors and guests. Our sincere thanks and appreciation to each and every one of you. gala/ to relive the 2012 Gala in pictures. Fall is such an exciting time to be a JCRA member! Our members are eagerly awaiting the plant list's appearance on the JCRA Web site; then they'll pore over horticultural reference books and scour the Internet for obscure botanical names; they'll rise before the sun on the first Saturday of October; and, finally, one lucky member will grab for the last pot of an unusual South American relative of butterfly weed. Many of our members identify the Friends of the Arboretum Annual Plant Distribution as the most important benefit of membership. Don't miss this year's "epic event in public horticulture" on October 6. If you've never attended the distribution, you'll definitely appreciate the videos that can be found on YouTube. Use the search terms "raulston plant distribution" and enjoy high speed renditions of the 2010 and 2011 events. Earlier this year, we initiated New Member Welcome Days. The first Welcome Day was held prior to Tony Avent's Friends of the Arboretum Lecture on March 15. New members mingled, met the staff, and enjoyed refreshments and a special garden tour with Ted Bilderback. The second New Member Welcome Day will take place directly after the Annual Plant Distribution on October 6. All members are invited to attend and help our newest friends feel welcome. We look forward to seeing you then! Please feel free to contact me, Judy Morgan-Davis, at (919) 513-0264 or jvmorgan@ncsu.edu if you have any questions about membership or any of these special events. Featuring pictures, stories, and testimonials from JCRA members. 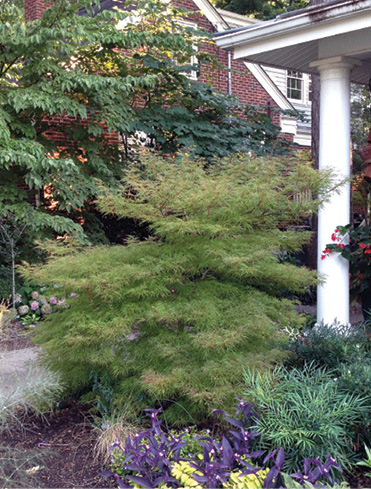 The Acer palmatum 'Baldsmith' I got at the 2008 Gala in the Garden is the anchor of my front yard's porch shade garden. The three-gallon specimen was donated by Wiliford's Nursery in Wilson, a long-time Arboretum supporter and a great member of North Carolina's vibrant nursery industry. 'Baldsmith' is everything you could ask for in a Japanese maple: amazing four-season interest, perfect height, and wow appeal. I fell in love on first sight. 'Baldsmith' has amazing new foliage in the spring, emerging with deeply cut, delicate, pastel pink and green leaves. In full leaf, its foliage's pink amber tinge adds interest to the greens, lavenders, and purples of my shade garden. Like all Japanese maples, its fall color is a spectacular red, but I've come to absolutely treasure this tree leafless, its graceful branches and mildly contorted main stem being a natural sculpture. Covered in snow or ice, it is a masterpiece. While I got 'Baldsmith' for its foliage, it has become a focal point in my winter garden. 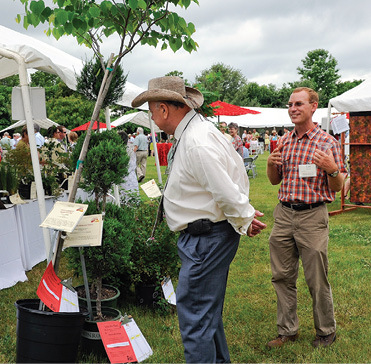 As many regular Gala bidders know, sometimes you've got to be assertive in defending a must-have plant. I wasn't the only one with eyes for 'Baldsmith'. In the end, tenacity and diligence prevailed and 'Baldsmith' became a permanent, treasured resident of the garden at 2310 Fairview Road. That was the same year I also got a standard three-gallon Edgeworthia that lights up winter and early spring with its architectural form and fragrant clusters of yellow flowers. I have fond memories of the JCRA, and every time I see the amazing Gala in the Garden plants that have become a centerpiece of my garden, I think about the Arboretum and the great community of staff, volunteers, gardeners, and nurserymen that it nurtures. Since 2006, the JC Raulston Arboretum has received more than $20,000 as a result of the partnership with the Garden Conservancy's Open Days Program. This wouldn't have been possible without the gracious hosts who open their gardens and designate the JCRA as the nonprofit organization of their choice. A very special thank you to the 2012 garden hosts! The 2012 Open Days Tour features six diverse and lovely gardens. The tour dates are Saturday, September 15, 2012, 9:00 AM to 5:00 PM and Sunday, September 16, 2012, 12:00 PM to 5:00 PM. Please enjoy these extraordinary gardens while supporting the Garden Conservancy and the JC Raulston Arboretum. This informal collector's garden features a 2,800-square-foot herbaceous perennial border, colorful annual plantings surrounding an inground pool, a gazebo surrounded by a large planting of herbaceous perennials and shrubs, natural areas with mixed shrub and tree plantings, and foundation plantings featuring a variety of small trees, shrubs, herbaceous perennials, and ferns. Georgina and Denny have added many new features since the last time their garden was featured. Meandering stone steps entice you to traverse a steep grade, where classic European craftsmanship mingles with Eastern influences. Layers of terraced gardens and paths lead past a peaceful reflecting pool fed by a renewing waterfall to the top of the hill. Here, a pagoda provides a peaceful refuge with a view overlooking the water features and lower gardens and terraces. Beyond the pagoda, several intimate and hidden gardens feature obscure plant cultivars and an eclectic collection of sculpture. Further exploration reveals a whole new, large, open garden. At the top of the hill, past an array of roses, is a vine-covered pergola with wide stone steps. At the bottom of the steps, stone paths radiate from the center of an oval-shaped parterre planted with various herbs, boxwood, and a multitude of flowering plants. A large stone moon gate creates a breathtaking focal point at the far end. A meditation garden and whimsical children's playhouse add interest to this unique garden. Nestled in a serene woodland setting of mature oaks, pines, and maples, Quarry Hill captures the eye with its traditional roots and delightful garden accents. 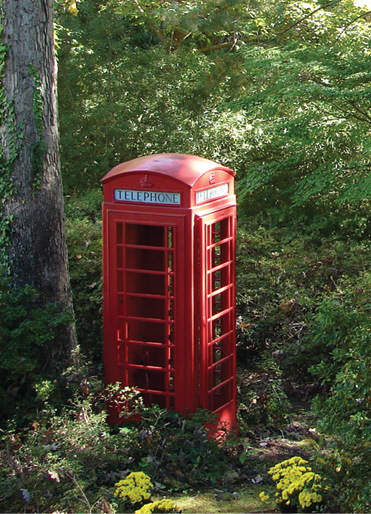 A kitchen garden, a conifer collection, and a whimsical knot garden feature accents such as a Victorian birdhouse, gazing and witch balls that fancifully dangle from a maple tree, and an original London phone booth! Natural and stone pathways meander through heirloom azaleas and tropicals—the exotic and unusual are sprinkled throughout the garden. Sounds of the four-tiered Charleston-style fountain can be heard on the stone patio and throughout the lower garden. Overlooking a peaceful lake, native ferns, wildflowers, and many varieties of perennials are showcased and ensure constant color and interest in this beautiful city garden. There is something for everyone at the Sorge Garden including: an unusual and private-front yard garden filled with trees and shrubs, a rose arbor, a stone walkway that leads to raised vegetable beds, grape arbors, and a greenhouse. Winding stone paths beckon visitors through two acres of woodlands filled with Japanese maples, camellias, azaleas, and hydrangeas. Along the way, visitors will encounter a circular maze of dwarf ligustrum and yew and numerous spots to sit or swing. Be sure to visit the Mosaics Gone Wild wall and arbor where Yoda watches over the animals of North Carolina. As the winding paths converge, visitors will find themselves at a large pond where they can sit in the gazebo and enjoy a little piece of North Carolina heaven. A stunning one-acre botanical feast, the Gardens of Ashland Hall is a delightful mix of several garden styles. Among the garden rooms are the cutting garden, the cottage garden, the English garden designed around the unique heart-shaped lawn, and an impressive tropical garden, complete with a Tiki hut. Bring your camera or your easel, as the gardens are full of fabulous views around every corner. The Umstead uses native North Carolina species to create a sense of place reflective of nearby Umstead State Park, while select exotic species enhance the scenery with their unique shapes and colors as they are seamlessly woven into the relaxed landscape design. The understated elegance of the Umstead is enhanced by gardens containing flowering plants in cool shades, soft blue foliage of 'Carolina Sapphire' Arizona cypress and weeping blue Atlas cedar, and restful sounds of water features. The path around the three-acre lake behind the hotel includes a beautiful butterfly garden and thriving wetland environment. There is a $5.00 per garden entry fee. Books of six tickets for $25 may be purchased at the JCRA prior to the event or at each garden during the tour. Proceeds benefit the Garden Conservancy and the JCRA. 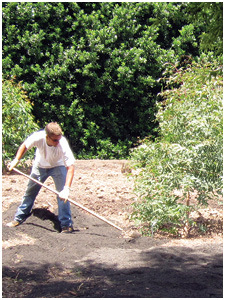 For more information regarding the program and to see a complete schedule of the 2012 Open Days gardens throughout the country, please visit their Web site at http://www.gardenconservancy.org/. If you are interested in opening your garden for a future garden tour, please contact me, Jayme Bednarczyk, at jaymeranch@aol.com or Anne Porter at (919) 513-3826 or anne_porter@ncsu.edu. 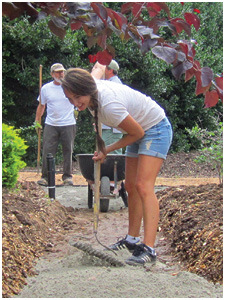 In May, we held our first Triangle Volunteer Recognition Day at the North Carolina Botanical Garden. This event was jointly hosted by Sarah P. Duke Gardens, NCBG, and the JCRA in honor of all our volunteers. We met volunteers from NCBG and SPDG, enjoyed lunch, attended workshops, and recognized our volunteers for the tremendous work they do. Next year, the event will be at the JCRA, which we are very excited about. 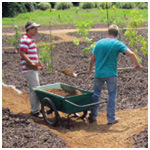 Currently, we have over 200 volunteers, half of whom help in our gardens. In order to perform their tasks, volunteers need tools to do their job. On our wish list are pruners, weeders, trowels, buckets, and other small tools. If you have any you are not using, please consider donating them to the Arboretum. We can use them. 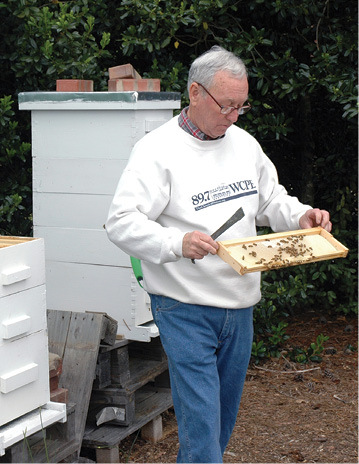 Charles Heatherly is our beekeeper. He tends the bees away from visitors and volunteers near the Annual Color Trials. The honey is especially delicious. 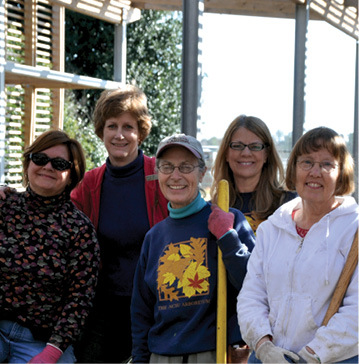 Jayme Bednarczyk, Laurie Cochran, Amelia Lane, Cynthia Herlong, and Carol Williams usually work in the Mixed Border, but this day they helped in the new Lath House.